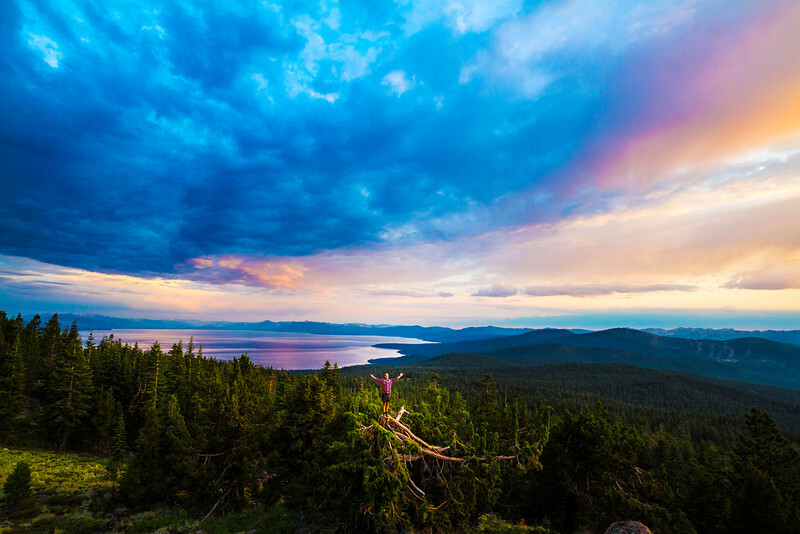 The Best Places to take a Photo in Tahoe and Truckee. The ultimate frame jobs. 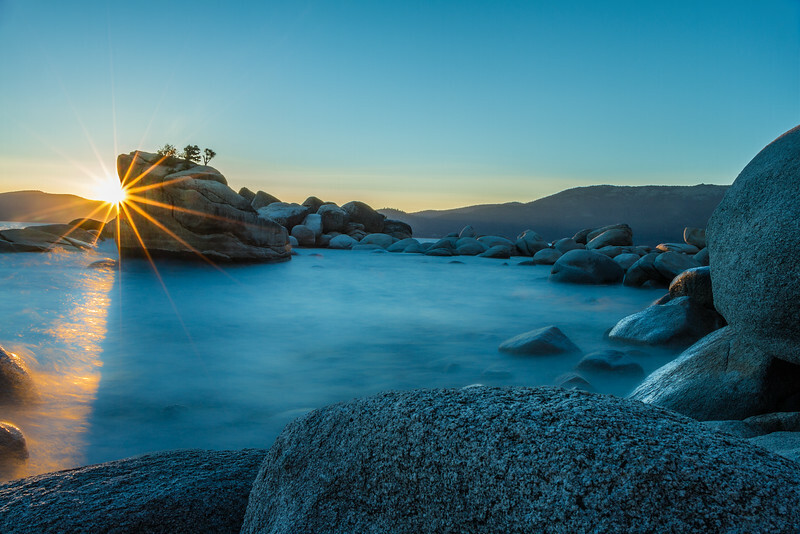 An insider’s guide to the Tahoe area’s best photo ops. We’ve all seen the classic Lake Tahoe photo books. Chances are, we have one or two as well, perfectly angled on the coffee table awaiting the next set of eyes. You know the contents by heart: golden beaches, blazing sunsets, limpid waters and snow-capped peaks that slip into Kodachrome skies. These are books that are way-too-simple to pick up and get lost in. But there’s one glaring omission to those scenes: your family. Sure, the kids will have memories permanently blazed in their minds of moments no camera could capture, but having your own little album of snaps or a hallway heavy with framed captures of kids and dogs and smiles and vistas goes a lot further than the Ansel-esque images gracing the big book on the coffee table. Your photos may not make it in a museum but they’ll certainly mellow nicely in the mind. So load up the family, gas up the car, grab your smart phone, video or DSLR and tripod and head out for some classic destinations that may render a photo or two worthy of hanging on the wall. Let’s start close, keep it simple and end up somewhere stunning. 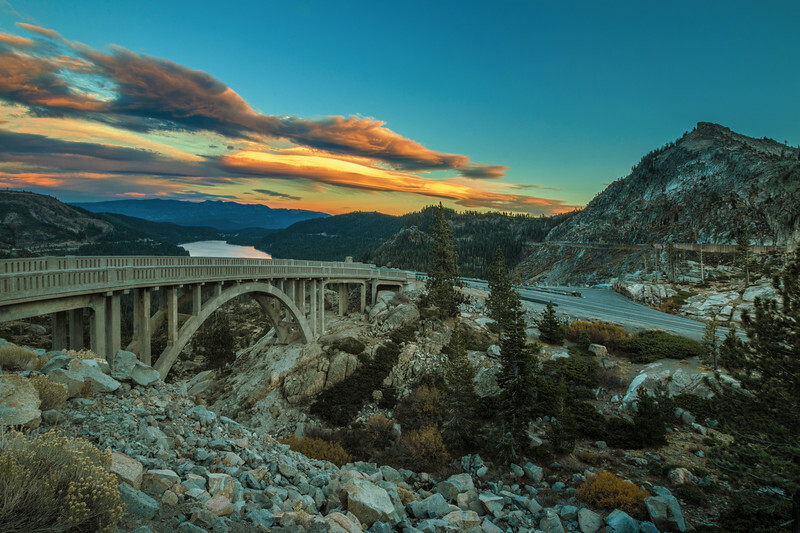 After passing through downtown Truckee, winding your way along the north shore of Donner Lake and passing the west shore beach, you start to climb one of the country’s last living, great highways: Old highway 40. High point of this journey is the span of concrete known as Rainbow Bridge. You’re in the midst of heaven as bikers and rock climbers know it, and if you want to throw in a history lesson, you’ll find petroglyphs nearby as well. But for now, it’s photo time. Pull out just before reaching the bridge for a stunning panorama. If you want some seclusion, drive another minute or two westward to the summit, find a pullout spot and head north for a short hike to the bouldered hump overlooking Donner Lake, Truckee and Mt. Rose. Closer yet is Martis Peak and its fire lookout. About 3 miles beyond Northstar on the north side of the highway, shortly before reaching Brockway Summit, you’ll turn left and head up. And up. It’s an easy, paved drive for all vehicles when the weather’s fine and the gate’s open, leaving you with only a short hike to the fire lookout and its sweeping 360º view. That view includes a stunning stretch of Lake Tahoe, a front row seat to the string of peaks on the Sierra crest, and views to Donner Lake, Castle Peak and the reservoirs to the north. On an average day, you may see the distant and foreboding Lassen Peak, hanging on to its clutch of snow through most of the summer. A bonus to this trip: you and the kids can step into the fire lookout and join the ranger (when manned in the summer months) for a lesson in finding way points and learning to operate fire finding equipment. You can even hoist a pair of binoculars or spotting scope for a more intimate look at the local landmarks. From the looks of your photos atop Eagle Rock, you may think you lugged a backpack deep into the Tahoe outback. Truth is, this short, family-friendly walk affords you probably the best bang for the buck when it comes to veering from the beaten path to a destination with stunning views. It leaves kids with a great sense of accomplishment and leaves you with images that are worthy of being sent out for holiday greetings. The pullout at the foot of Eagle Rock is just a few miles south of Tahoe City on Hwy 89. 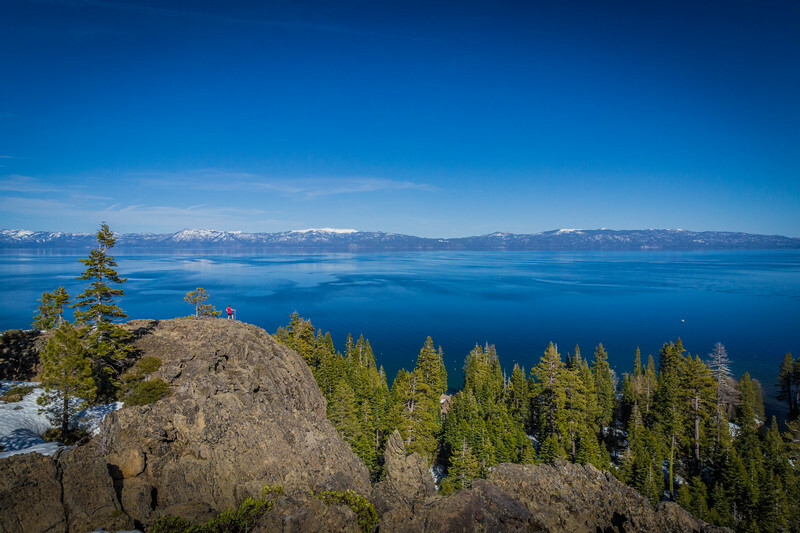 From there, it’s a short walk to the top and its stunning, front row seat to Lake Tahoe. Once upon a time, a drifting pine seed found a crack in a rock on a lake that was the stuff of legend. It took root, sprouted skyward and eventually found the eyes of a gazillion photographers. With its short, contorted branches, the tree helped define this destination as Bonsai Rock. While finding its appeal comes easy, finding a parking spot isn’t. Fact is, there are only a few select places to park, and when it looks like a five-alarm sunset’s in the works, that parking becomes even harder to come by. Once there, be sure you’ve got all four tires safely off the pavement and make your way down the short trail to this boulder-strewn section of Tahoe just south of Sand Harbor. 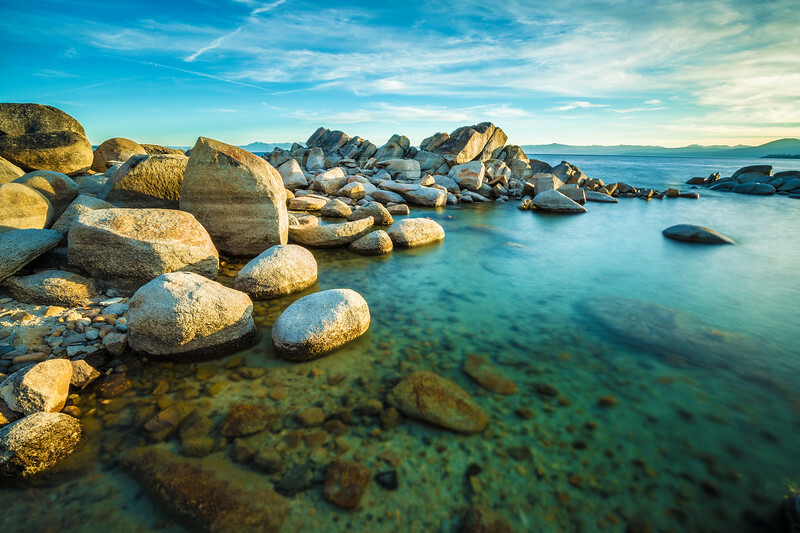 Maybe it’s the blend of Caribbean blue waters, white sands and freckled granite boulders that makes this side of Tahoe the one most favored by calendar designers. One visit and you’ll understand. From the time you leave Incline Village until the time when Nevada 28 pulls away from Tahoe to head for Spooner Lake, you’ve got a string of photographic pearls to choose from — most of which require some degree of hiking. There’s Secret Cove, Hidden Beach, Sand Harbor, Chimney Beach, and Skunk Harbor, to name a few. Again, parking can be limited at many spots.